This System also includes Life Plan. The most powerful sales and marketing presentation system in the business. With the InsMark Illustration System you can create consistent sales illustrations for your clients for any life product you sell. 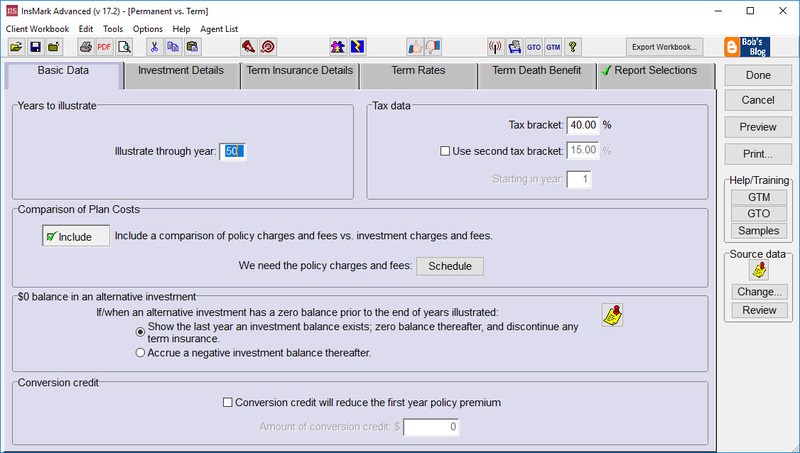 The InsMark Illustration System includes several types of illustrations: Comparisons to Alternatives, Personal Planning, Estate, Charitable, Corporate-Owned, Executive-Owned, Split Dollar, Investment Calculators, IRA Calculators, and Needs Analyses. 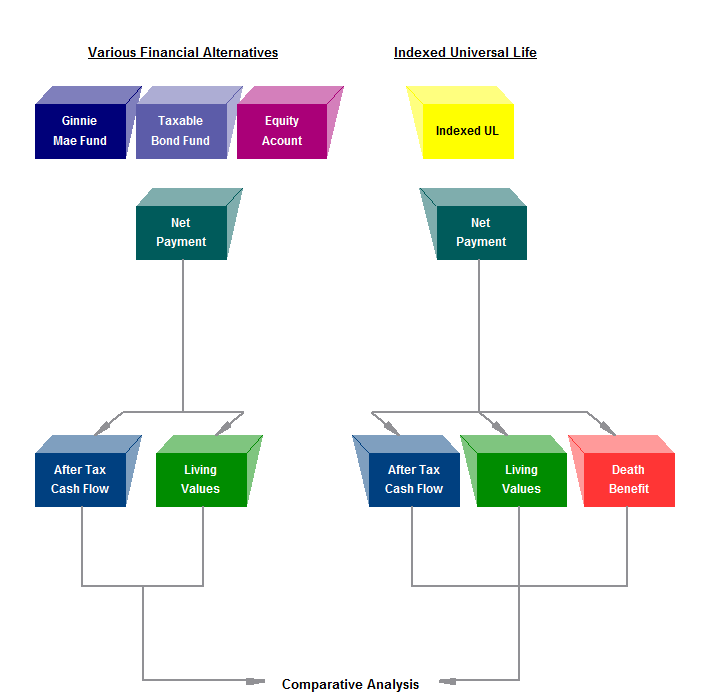 The Comparison Flow Chart above is from the Various Financial Alternatives illustration selection which every agent can use! The complete list of illustration selection available in IIS are below. Further below is the Flow Chart from another popular illustration selection, Executive Trifecta. But wait, there's MORE! The illustration software is simply the tool you need to get the job done. The biggest wealth we offer you is from Robert B. Ritter, CEO of InsMark. Bob presents strategies, concepts and tips in his blogs, and most blogs include workbooks which are helpful for understanding the input that generated the illustrations in the blog. You can use the workbook as a template and edit the input to your own client's data and use the same strategy as outlined in any of Bob's blogs. And there's still more! We also provide many training videos from InsMark's YouTube videos. Use the "Producer's Center" menu selection at the top of this website to learn the huge value InsMark can be to you. The output above is a sample of an InsScribe graphic which is generated to coordinate colors that match your illustration output. 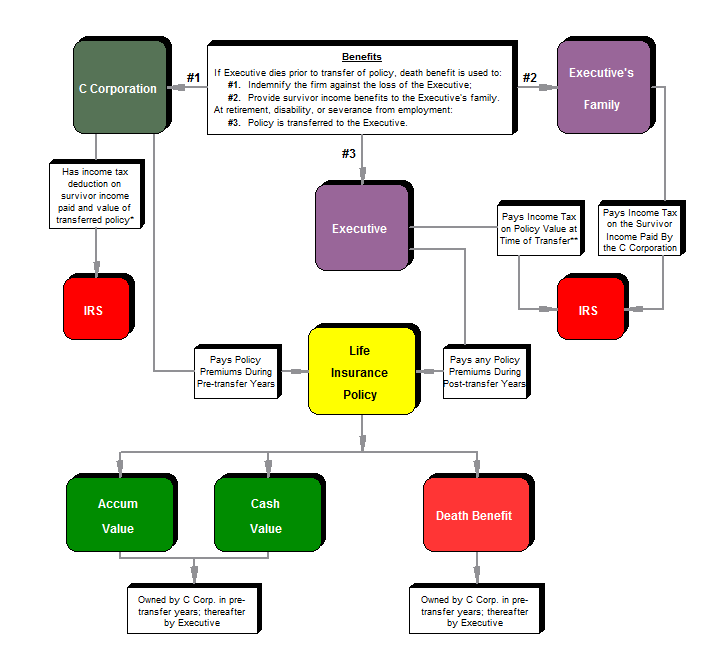 InsScribe® graphics include 2-D and 3-D flow charts (shown above), circle summaries, landscape graphs, and multiple mini-graphs. Sample Illustrations - Sample Illustrations are included for each illustration concept. Samples allow you to Preview the reports, but more important, they let you review the input that generated them. A description helps you understand the Sample - making them valuable in helping you learn the system. Samples can even be used as a template where you can edit the data to your own client's data. Guide to Marketing - Another indispensable resource if the Guide to Marketing. This guide provides the "how to" and "when to use" tips for each illustration - straight from InsMark’s President/CEO, Bob Ritter, a Top of the Table and International Forum producer before he founded InsMark. What's the Best Kind of Life Insurance. A screen show presentation of Executive Trifecta is also included in the InsMark Illustration System.